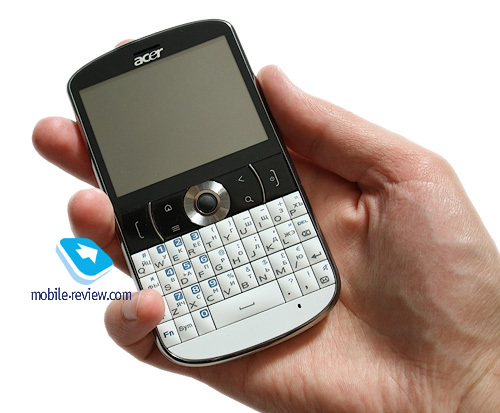 The Acer beTouch E130 (hereafter, "beTouch" will be omitted) is one of the company's many tests of the Android market and its consumers. 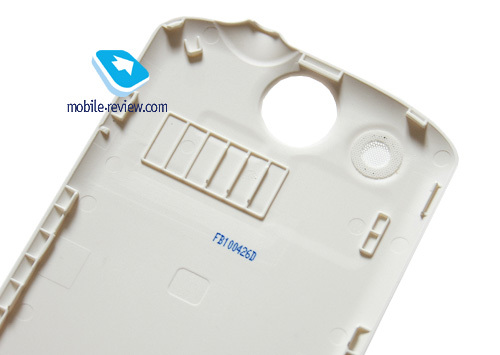 It is an attempt to promote a new form factor and device experience to Android users. If you take a look at the "robot" lineup, you will realize that all the smartphones but the E130 use touch-sensitive screens as the only input method, whereas the E130 has several options for that: finger input and a keyboard with a trackball. To put it simpler, the company is making an experiment with its new device, and whether it remains just that is what we are going to discuss in this review. 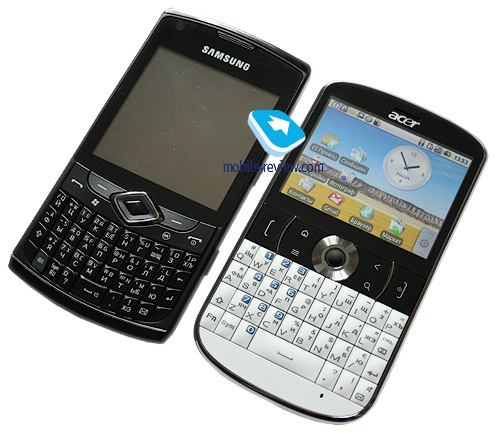 The device is available in two color options: black and white. In my opinion, the black option is too boring, whereas the white one is actually pleasant to the eye. 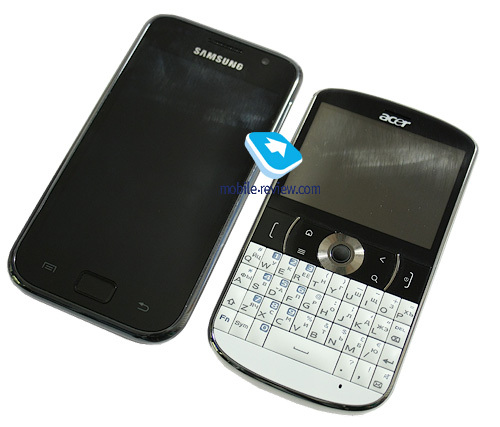 To a large extent, the design has been dictated by the form factor: the presence of a QWERTY keyboard in a candybar device comes at a cost – that is, the smartphone is wide and has a wide display with the landscape orientation. 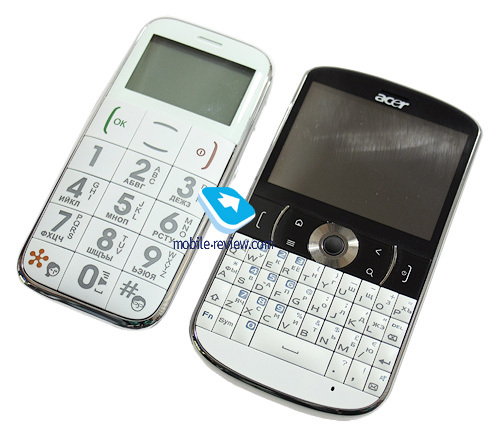 I find the design of the Acer E130 too simplistic, but a quick survey of my friends as well as the feedback from our readers on the forum (the device pictures could be seen in some other reviews a while ago) indicate that many people do find the design attractive, even though the actual device is not available yet. Save for the plastic frame with a chrome finish on the front panel that serves no actual purpose, there are virtually no other impractical details in the smartphone. 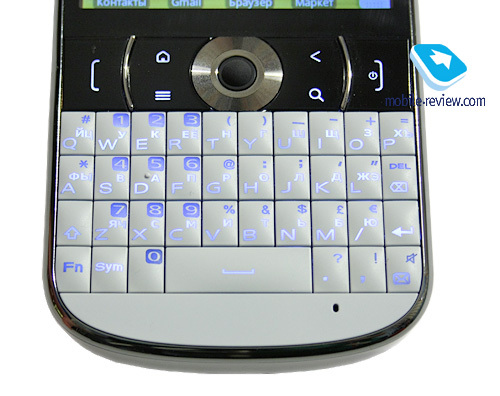 The screen is covered with plastic, the battery cover and input keys are made of matte plastic, too. The material is practical; the white device collects no finger prints, and I think that that it also true for the black version. 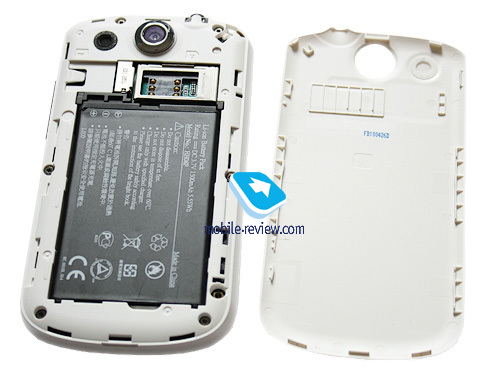 As far as the build quality is concerned, the only complaint is about the battery cover. The thing is that the cover takes up the whole rear side of the smartphone, uses some clasps to attach to the main body and needs to be pulled off in order to be removed. The whole system appears very unreliable meaning that if the battery cover is removed too often, sooner or later those clasps will fail. Every time the cover is removed, you can hear some crackling, which is another sign that the fastening elements are not that durable. On the upside, the battery cover sits firmly in its place and doesn't play at all. 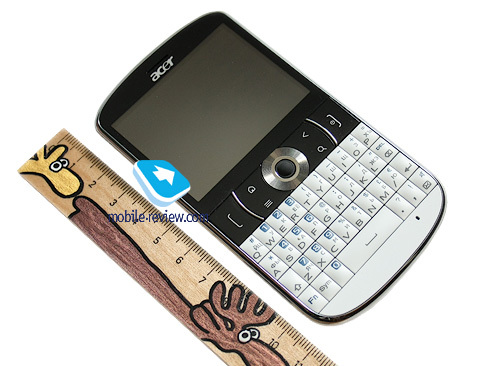 In terms of dimensions, the Acer E130 is comparable to the Nokia E71 or 72, albeit it is slightly larger than them. 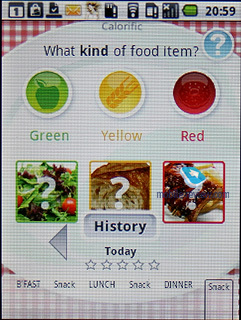 Apple iPhone 4 – 115.2 x 58.6 x 9.3 mm, 137 g.
The smartphone feels nice both in one's hand and while talking. You can carry it around in your pants or jeans pocket just fine. Let's talk about the main control elements and keys first, leaving the keyboard aside for a while. On the front panel, at the top of the device, you can find a speaker with a grill cover. On its right, there is an indicator light that goes solid red when the device is charging or connected to a PC or solid green when the battery is fully charged. There is nothing on the left side, whereas the right one contains a volume rocker and a microUSB port for the charger or data cable. On the top, in the left corner, you can find a 3.5 mm audio jack and a lanyard hook. The control block consists of six keys and a trackball and is located below the screen. The Call Receive and End keys are at the far ends of the platform, whereas the Home and Back buttons are closer to the centre and form the upper row, and the Menu and Search buttons make up the lower one. The trackball is in the very middle; it also serves as the Action key if pressed. In general, the control scheme is handy but the trackball requires some getting used to. 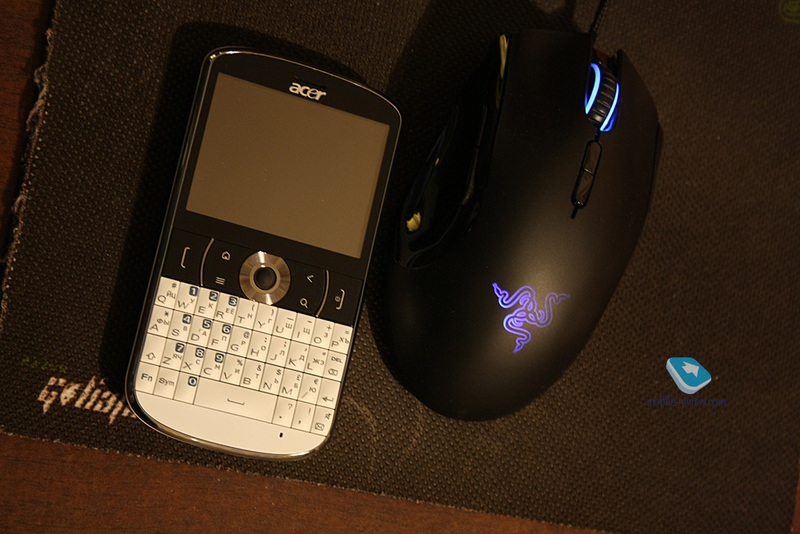 While using the Acer E130, every now and again I would realize that I am selecting menus and programs not with my fingers but with the help of the trackball. Probably, in the case of the E130, the traditional controls are more favorable as an input option than the touch-sensitive screen. That is due to the fact that all the device keys are the familiar hardware type (provided you know how to use a trackball) and that the small low-res display doesn't make you want to touch it at once. The Call End button also serves as the Screen Lock key. When the screen is activated, the first thing that you see is the lock screen – just hit the Menu key to unlock the device. 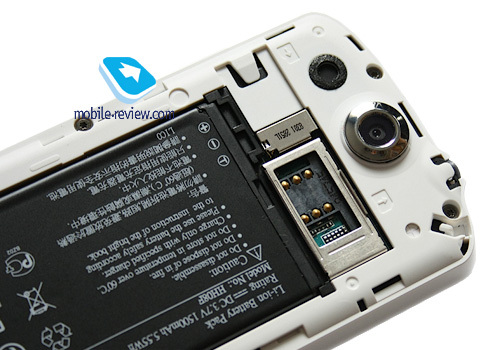 The SIM card and memory card slots can be found under the battery cover. To replace a memory card, it is enough to remove the cover; to replace a SIM card, you will have to remove both the cover and the battery. 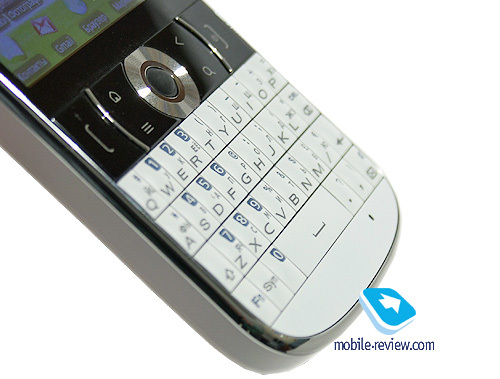 The smartphone is equipped with a full format, 4-row QWERTY keyboard with 37 keys. Although there is neither horizontal nor vertical spacing between the keys, I find them quite comfortable to type with. Each key tapers off a bit, which prevents you from hitting the adjacent ones; it can be somewhat troublesome if you actually need it, but luckily that doesn't happen very often. 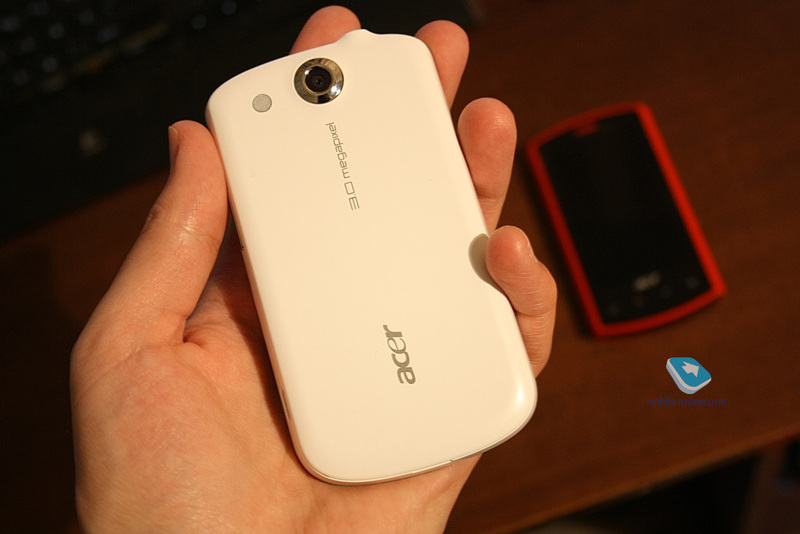 The real trouble comes when you realize that you have a white backlight in a white smartphone. 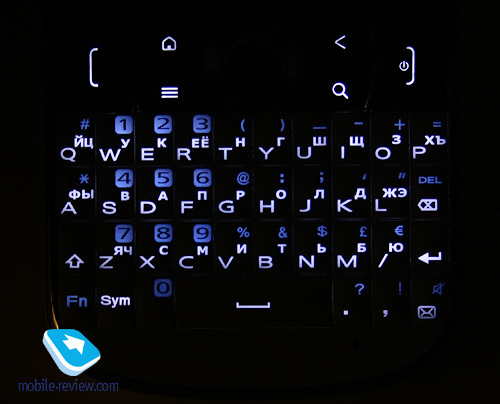 As soon as you start typing, the backlight is activated, and the key markings become hardly visible forcing you to either watch them closely or to look for some shade so that only the backlight can be seen. There is no such problem with the black version of the device, yet the feature can turn the typing experience on the white version into a nightmare unless you get used to it or learn to touch-type. Other than that, the backlight is good. It is uniform and not too bright. On the upside, you can use key combinations to launch various programs. For instance, you can press Search+g to launch the inbuilt email client, or Search+i for the browser. The key combinations can also be changed any way you like. 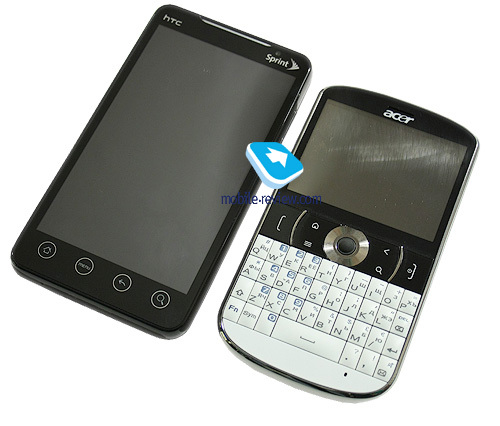 The smartphone features a 2.6″ TFT resistive touchscreen. 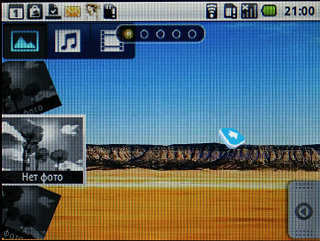 The physical size of the screen is – 53x40 mm with the resolution of 320x240 (QVGA). It is the weakest point of the model, because the picture is grainy and fades when you move the screen sideways, though it remains legible. In the sun the screen is extremely difficult to read. The response of the screen is decent, but it is not convenient to poke your finger into a 2.6" screen as it is not big enough for this (there is no stylus here), especially if you are accustomed to larger touchscreens. 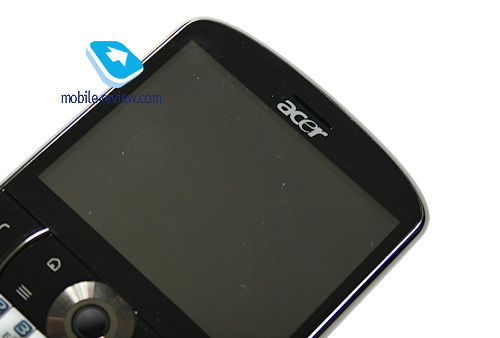 The main problem of Acer E130 is not in the screen low quality, its resolution or matrix. It looks as if Android is not very friendly to screens with landscape orientation. 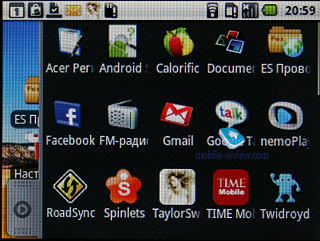 Many apps from the Market start on Acer E130 in their traditional portrait orientation. E130 is just not convenient for that, because you have to turn the phone for every app. Imagine that you have to write something in an application, but you hold the handset at an angle to ensure the portrait orientation. The keypad is somewhere to the left or to the right. Text input cannot be convenient in this case. In the engineering prototype I tested the camera did not work (or to be more precise, the memory card slot and in Android 1.6 pictures can be saved only on a memory card). 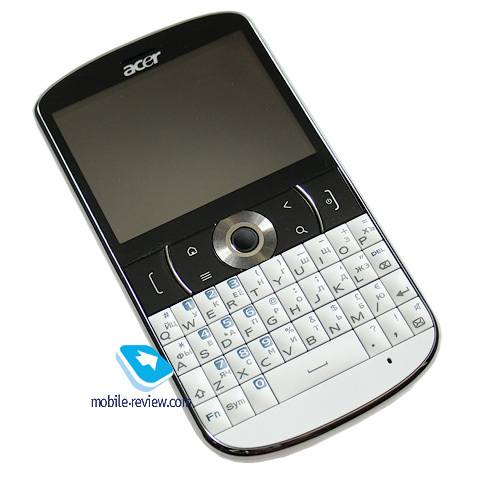 Acer E130 has a simple 3 MP camera with the fixed focus. Do not expect high quality photos. If I have a chance I will add here the samples of pictures taken with Acer E130. The model sports a 1500 mAh Li-Ion battery. 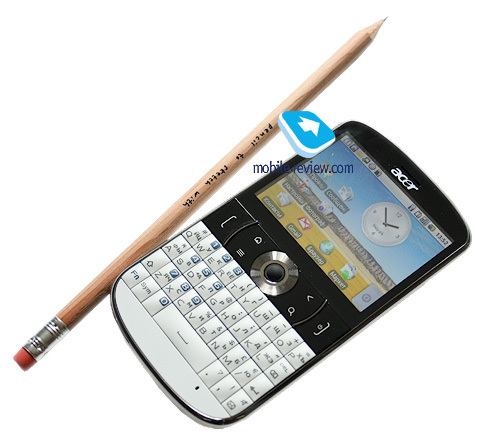 Operation time from one charge is the strongest point of Acer E130. In my case the handset worked for 3 days with 30-40 minutes of talktime and 10-15 SMS per day and active Gmail and MS Exchange Server accounts. If you listen to the music for 3-4 hours a day the operation time goes down to a couple of days, but in comparison with modern Android smartphones, which work for 1 day only, it is an exceptional result. The handset is built on ST Ericsson PNX6715 with the 416 MHz processor, which depending on the workload offers power from 104 MHz to the maximum level. 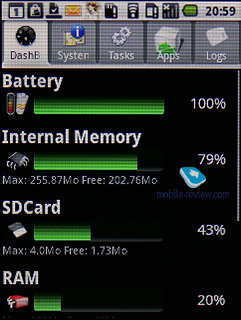 The smartphone has 256 MB of RAM, while the system and user apps have 200 MB. If you do not take into account the memory taken by different background services you will get around 100 MB of free RAM. 512 MB are available for the applications download and users can have half of it. There is no point speaking about the capabilities to watch unconverted video or play "heavy" games (apart from the platform there is one more limitation – the landscape screen orientation). Regarding the speed of operation I can say that in everyday work (launching apps, checking mail, and browser) Acer E130 is quite comfortable. Everything works fast, just the process of docs opening is often delayed alongside with browsing them. 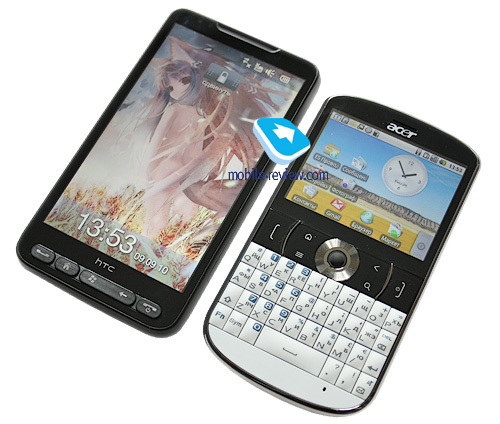 The phone works in GSM (850/900/1800/1900) and UMTS (900/2100) networks. Both EDGE and HSDPA are supported. You can add or disable different communication modules from the settings menu or with the help of the widget to be dragged onto the desktop. 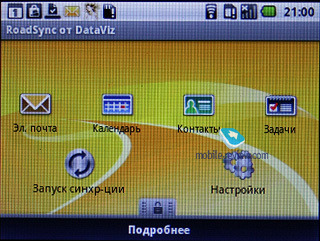 Only basic and several multimedia profiles are implemented. There is no support for objects transfer (contacts cards) via Bluetooth or access to other devices file systems. Wi-Fi (802.11b/g). I have no complaints to WiFi operation, but one. With every display activation the phone took a minute to think before connecting to the selected network. Other Android smartphones do this much faster. 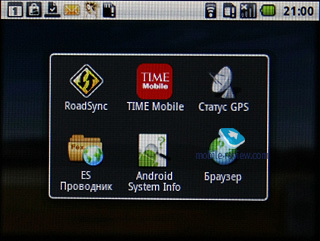 Acer E130 has a GPS module with A-GPS. Cold start takes around one minute and then the satellite search requires around 15-20 seconds (the testing was made with the help of GPS Status app from the Market). 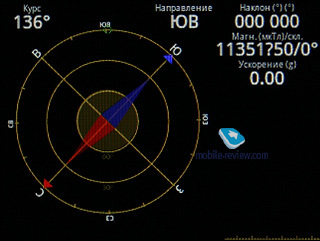 Navigation in the device is carried out through a standard Google Maps, which allows routes plotting (without the voice prompts), search for addresses by street names or locations (restaurants, cafes, institutions). 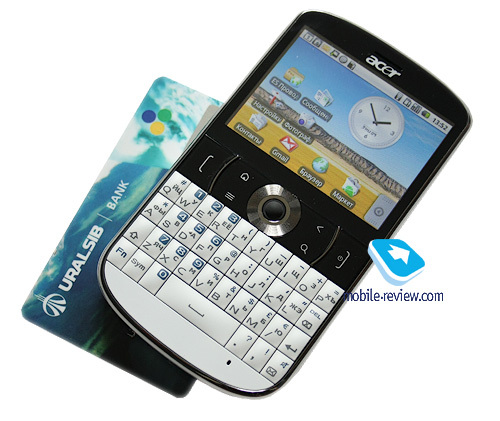 The communicator uses Android 1.6 with the standard interface barely featuring add-ons from Acer. 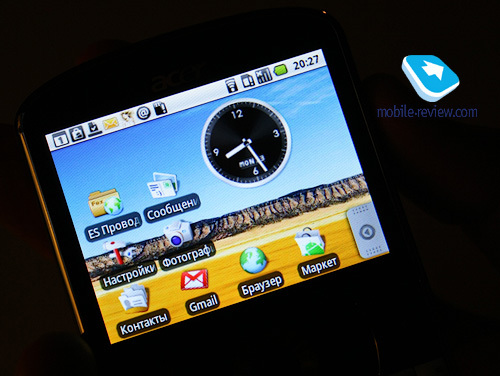 There are no rivals of Acer E130 in Russia, because other models in the same form factor are just not offered. In Europe and USA there is Motorola Charm, but whether we get it in our country remains to be seen. 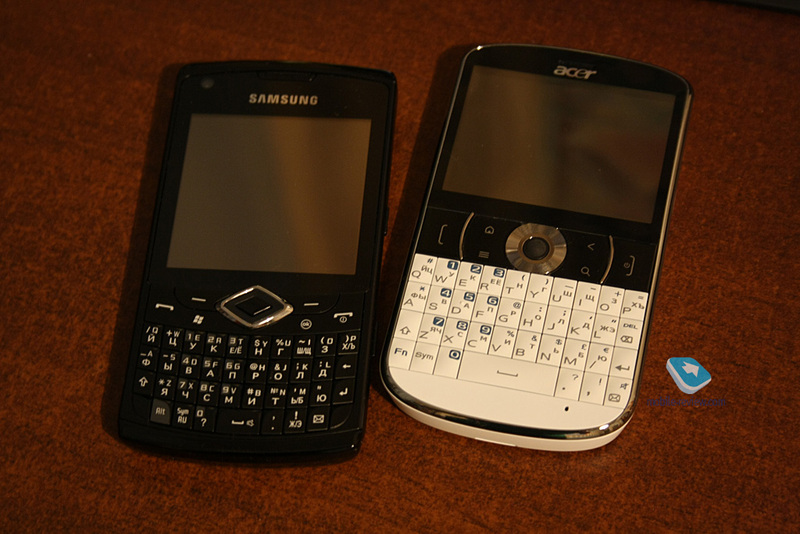 We could have mentioned E-Series models from Nokia, a tiny segment of QWERTY candybars on Windows Mobile or Blackberry. 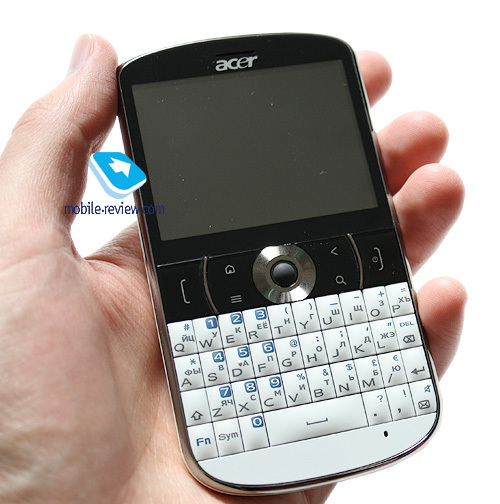 But the point is that individual characteristics of Acer E130 are inferior and its main strength is in the combination of Android and QWERTY candybar. If you want to choose Acer E130, you have to understand the risk of buying a unique device. There were no problems with connection quality in the engineering prototype. The volume of the speaker and loudspeaker is from average to above average, while the vibro is weak and I often missed it. 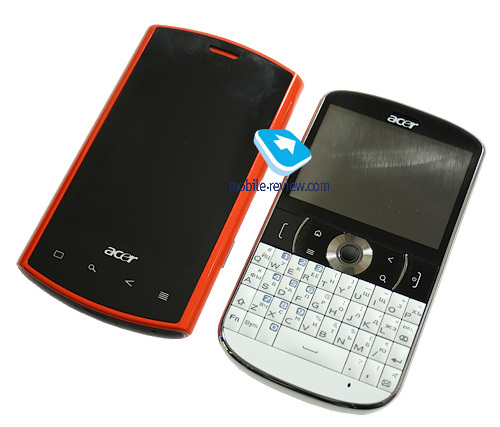 The smartphone will become available soon for around $325 (it has not been finalized yet). 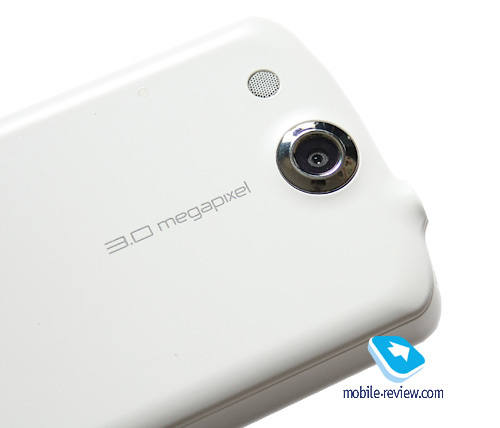 E130 is a controversial smartphone: it has a not universally appealing design, imperfect buttons layout, a mediocre screen and outdated Android 1.6. 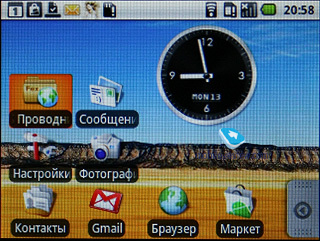 The operation of several apps on a horizontally oriented screen is another issue in E130. But despite all this the model has an appeal. During 1 month use I did not have any problems with its traditional operation - mail, messages, calls and a bit of surfing. Excellent battery life, convenient text input are the high points of E130. 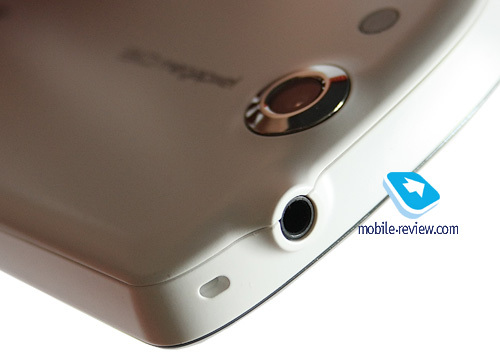 Its drawbacks are partially compensated by a relatively low (for Android) price. 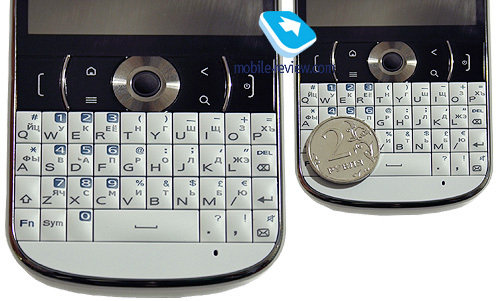 The main thing is to understand if you need precisely a QWERTY сandybar on Android or not.